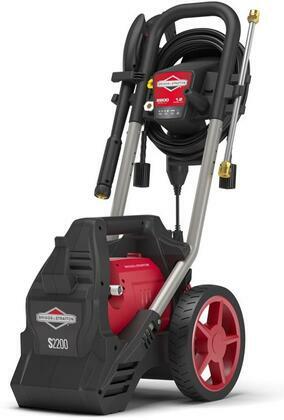 .The 3000-PSI Burst pressure washer is designed to meet the cleaning and washing requirements of home owners. 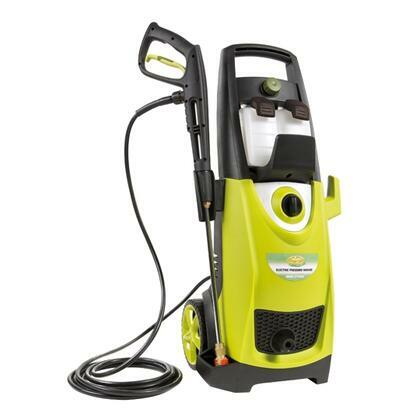 The power washing equipment is terrific for cleaning your car, deck, siding, sidewalks and driveway. The pull handle and plastic wheels make this pressure washer maneuverable and its light weight design makes it convenient to transport. The equipment comes with a 120 VAC GFCI power cord that provides flexibility and a 20-foot pressure hose that gives you plenty of reach. Features:.Compact, upright design with axle mounted wheels allows easy roll-away mobility. Perform diverse cleaning tasks for your home, vehicle, patio, lawn equipment, and much more with remarkable ease. The diverse nozzle selection supplies the perfect stream and pressure for every surface - tough to delicate.5 interchangeable quick-connect nozzles, copper-connected gun hose, and tap adapter easily click in. Unit features a built-in holder for spray wand and power cord when not in use. Built-In Soap Dispenser. Wand provides ideal maneuverability for hard-to-reach areas. GFCI-protected power cord has a built-in cord wrap on handle. Includes a onboard hose reel for quick and easy clean-up and storage. Specifications:.Color: Green/Black. Working Pressure: 2200PSI. Max Pressure: 3000PSI. Amp: 14.5.Motor: 120v/60 Hz. Wheel Size: 8" .Max. Flow: 1.7GPM.# of Interchangeable Nozzle Adapter: 5 (0º, 15º, 25º, 40º and soap).Spray Wand Length: 36".Certified: ETL. 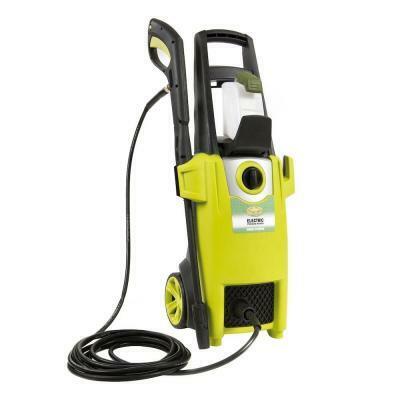 Overall Dimension: 17-1/2"(W) x 14-1/2"(L) x 34-3/4"(H).Package Contents:.Pressure Washer. Spray Wand.5 x Interchangeable Nozzle Adapter. Hose. Instruction.